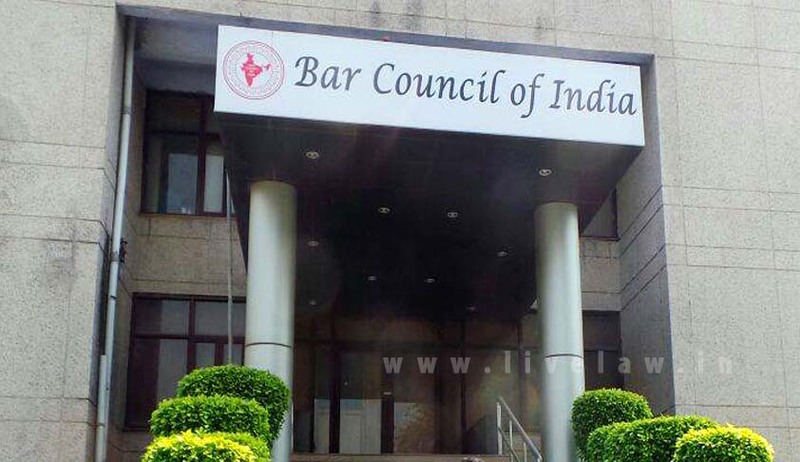 The Bar Council of India (BCI) has withdrawn some of its proposed amendments to the Bar Council of India Rules given to Law Commission of India after huge protest from lawyers. In a letter to Law Commission Chairman Justice BS Chouhan, Bar Council chairman Manan Kumar Mishra said: “On the issue of the matters relating to the DC Proceedings ban on strikes by lawyers’ bodies and imposing of fine on the lawyers for profession and other misconduct and the participation of Hon’ble Former Judges in the DC matters, the Council is finding a very strong resentment from the members of the Co-Ordination Committee of All-District Court Bar Associations of Delhi”. Mishra informed the commission that a deliberation will take place with members of the co-ordination committee of the All-District Court Bar Associations of Delhi and thereafter, the recommendation will be sent. He also mentioned that huge protests were organised by lawyers in Delhi today. “At the same time, through some news clippings, I have come to know that the Commission has made certain recommendations with regard to the DC Proceedings and it has recommended that in such committee, the Government should nominate other people, excluding Members of the Bar or / and their bodies representatives will not be there to try their case relating to the disciplinary action against the lawyers. With great respect to the Hon’ble Commission, I earnestly request that no such recommendation or provision in law will be suitable to the Lawyers of the Country, the lawyers, or to the State Bar Councils and Bar Council of India. Therefore, if there is any such proposal, I humbly request your good self to reconsider the same and strengthen the institution of legal fraternity. The Outsiders’ interference in the matters of advocates may invite nationwide protests, so, it is my request to consider this aspect of the matter,” the letter stated. Earlier, the Supreme Court Bar Association (SCBA) and other lawyers’ bodies condemned the Bar Council of India’s recommendations. “The SCBA views the proposal made by the Bar Council of India with grave concern as it directly and adversely affects the rights of all practicing advocates. It is important that lawyers, being the officers of the Court, are able to perform and discharge their duties independently and in a fearless manner. The independence of Judiciary is directly correlated to the independence of legal profession,” the SCBA said.